Increased demand for hyperscale architecture in data centres led to huge growth in the enterprise storage market. Dell maintained its position as the world's largest supplier for the enterprise storage market during the second quarter of 2018 as the company continues to outpace its competition. According to the latest figures from IDC, the company gained 19.1 per cent of the total storage system revenue and managed to grow by 26.6 per cent compared to the same time last year. Dell shipped 574,600 units during the second quarter contributing $4.25bn to the market and the firm's sales were up more than 16 per cent year-on-year. HPE followed close behind Dell in second place with 17.3 per cent of the market share though its growth was considerably less at just 1.9 per cent year-on-year. NetApp took third place while IBM came in fourth. The global storage market is on the rise as a result of the recent explosion of hyperscale infrastructure and the market increased by 31.7 per cent year over year during Q2 of 2018 to $3.3bn. 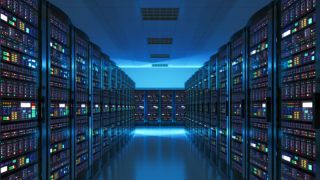 Server-based storage also saw increased growth, growing by 24.9 per cent year-on-year to make up 28.5 per cent of total enterprise storage investments. External storage systems were also up by 14.4 per cent when compared to the same period last year. "Strong 2Q18 growth was driven by an ongoing infrastructure refresh cycle, investments in next-generation workloads, expanded use in public cloud services and data-driven initiatives. The growing data economy is a big part of the current market growth. Companies of all sizes are investing in platforms that support their need to ingest, process, and disseminate large volumes of data cost effectively and without introducing new risks to the business."